We at Bohemian Lofts Backpackers offer affordable, funky and clean rooms. We offer a free basic breakfast and more importantly we offer free WiFi internet in our communal areas as well as in some of the en-suite rooms. From Obs you can get to the False Bay beaches, the West Coast beaches, the centre of Cape Town, the Cape Flats and much more. It is a perfect home base for a traveler, a student, an intern, a medical professional or an outreach volunteer. 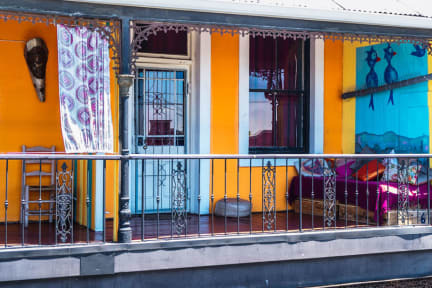 Want a bohemian stay in a fascinating part of Cape Town? Then Observatory (or just plain Obs) is where you want to be! Obs is truly bohemian: Students and trade union officials, tourists and artists, festivals and events, old timers and expats, music and food, books, quirky restaurants and so much more. We are a BazBus Stop! It is 5 min walk to the train station also loads of taxis around. Obs is a good option for accommodation close to the University of Cape Town and for outreach volunteers. We have five en-suites rooms (2 beds), two rooms (2 beds) with shared bathrooms and two Dorms (4- 6 beds) with shared bathrooms. One room even has a balcony and a kitchenette. Linen, lockers, board games and free WiFi are all available and included. The property will send you a secure payment link for the balance payment. Breakfast included - from 7am till 10am. We require ID/ passport as well as full payment on check-in. I loved staying with Jenny! It was so homey, she was really helpful and I felt like part of a family instead of like a foreign visitor. Highly recommended! 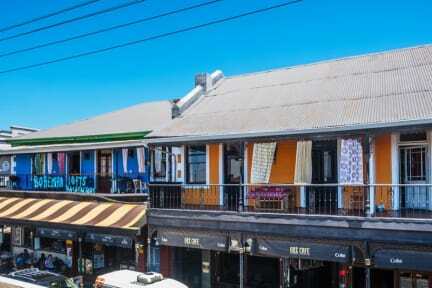 One of the best Hostels in Cape Town: -huge rooms -friendly and helpful staff -24h reception -very very clean -good price -good wifi connection -simple but good breakfast -close to the train and minibus station Highly recommended! Do not stay in Cape Town's center. Obs is the place to be. Bars, restaurants, supermarket, laundry, everything you need is just around the corner. The hostel is perfectly organized, clean and the stuff is willing to help you with everything. Ich habe mich dort sehr wohl gefühlt. Sowohl die Gäste als auch die Mitarbeiter waren sehr freundlich. Es war gemütlich und alles Notwendige war vorhanden. Unglaublich schönes kleines Hostel mit sehr freundlichen Mitarbeitern, super Lage in einem angesagten Stadtteil und in der Umgebung sind auch tolle Restaurants. Wir fühlten uns zur jeder Zeit sehr wohl und sicher. Nice hostels and great staff. The building is a kind of old and small so that there is no typical hostel atmosphere.